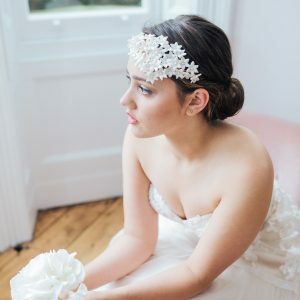 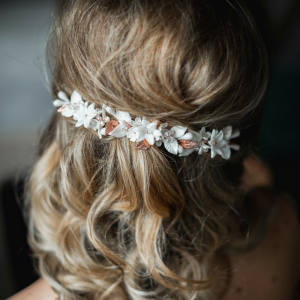 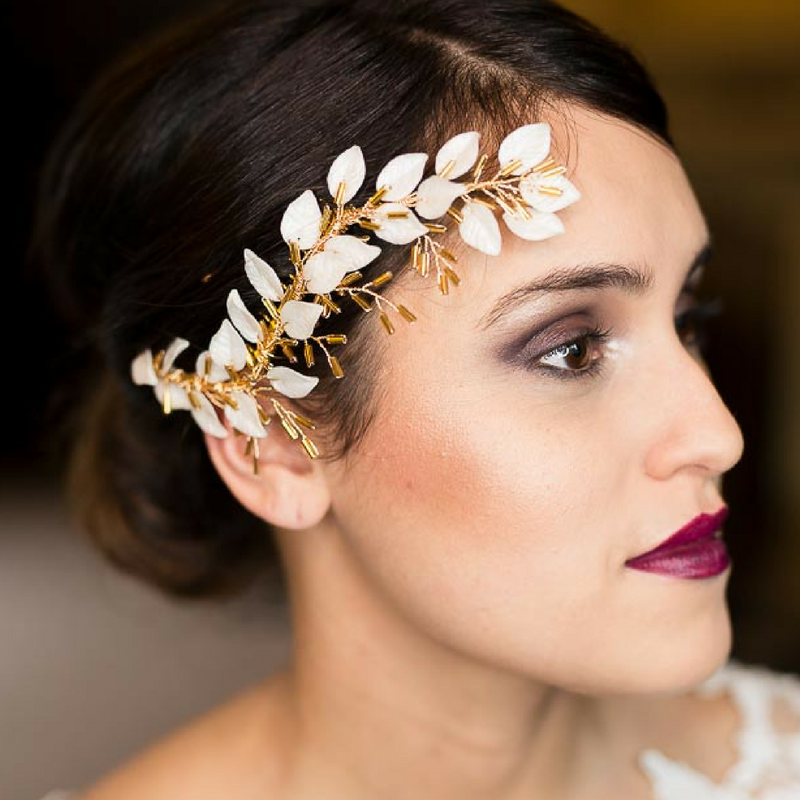 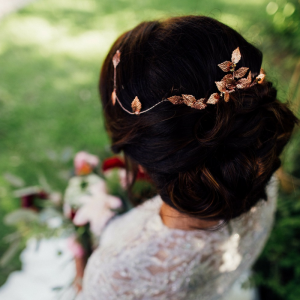 A soft and feminine bridal hair comb, decorated with delicate beaded branches and Polymer clay leaves. 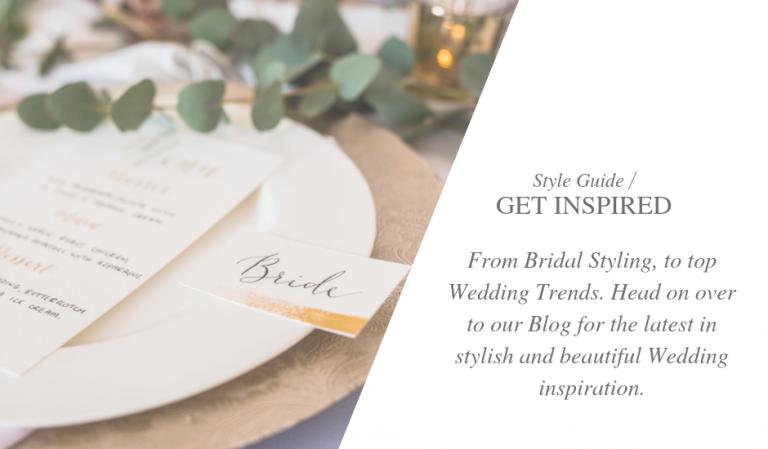 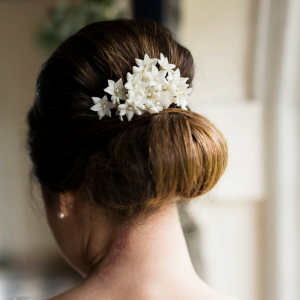 This botanical-inspired piece is soft and flexible, so it can be moulded to suit your hairstyle. 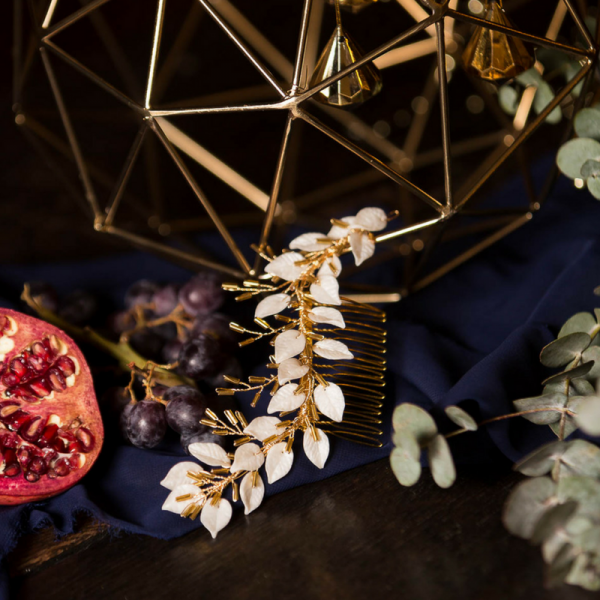 Materials: Polymer clay leaves, gold, silver or rose gold tubular beads, plated wire and plated comb.